Predominant colors are blues and greens with areas pink and lighter tones. It is very similar to the Abalone Curved, which is also made from the lip of the abalone shell. 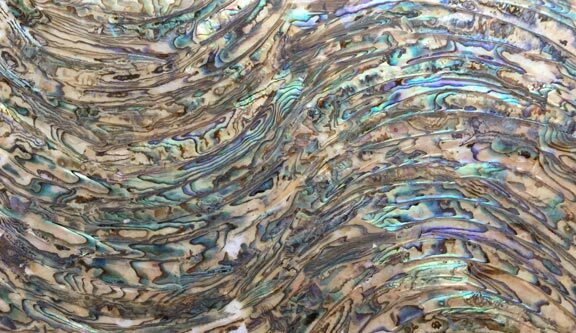 Every sheet has different colors and patterns, so no two abalone sheets are the same. Specifications: Each sheet is 5.5” x 9.5” (240 x 140mm) and averages 0.2 mm thick. Sheets are packaged individually and supported with cardboard. There is no adhesive backing.